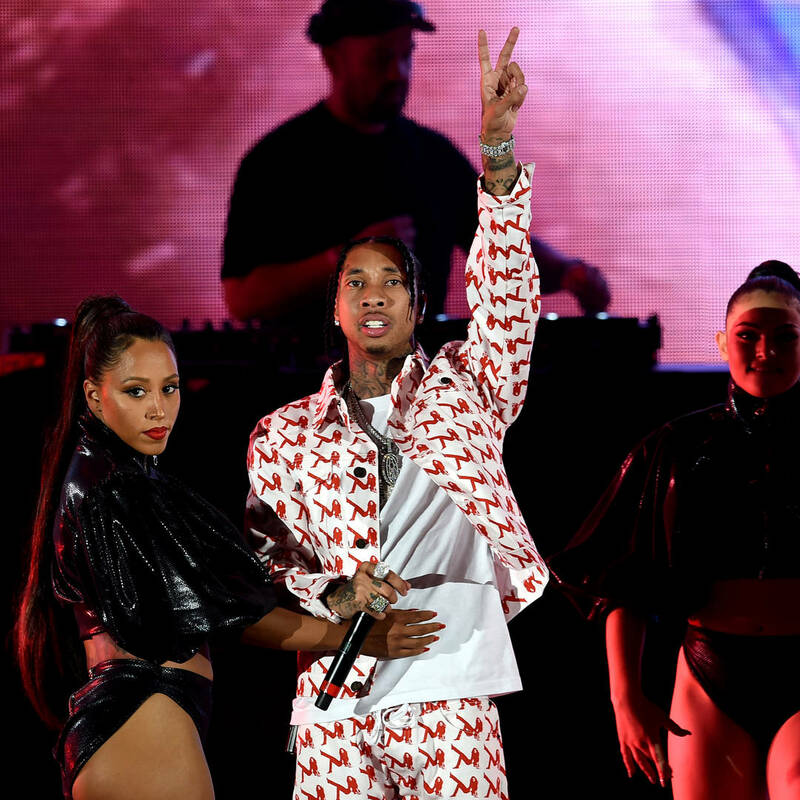 Tyga's comeback went deeper than his music in 2018. The rapper also returned to the rap game with a brand new hairline. As the 10-year challenge posts continue to flood Instagram, Twitter, and Facebook timelines, the "Dip" rapper took to Twitter to share comparative shots of his hairline's transformation from 2009 to now. Tyga hasn't been shy to reveal that he received a hair transplant to fix up his receding hairline. Back in August, Nicki Minaj dragged Tyga's hairline into her feud with her ex Safaree Samuels by claiming that they went to the same doctor. “I should’ve never paid for that gyatDamn hairline!!!! It fell back out cuz Goddon’t like ugly!!!!" She wrote on Twitter alleging that she paid to fix Safaree's hairline. "Tyga sh*t ain’t fall back out!!!! Y’all went to the same doctor!!! Yours fell out cuz GOD DONT LIKE UGLY!!!!! !” Safaree later revealed that he and Tyga went to get their hairlines done from different doctors. Instead of taking offense to the tweet, the "Taste" rapper plugged his doctor's website and wrote, "Tellem Tyga sent u." Earlier today, Tyga shared the visuals for his single, "Floss In The Bank" which he released on Friday. The song serves as his first single of the year and follows the stream of bangers he dropped in 2018 such as "Taste," "Swish," "Dip" and the remix featuring Nicki Minaj, as well as "Swap Meet."